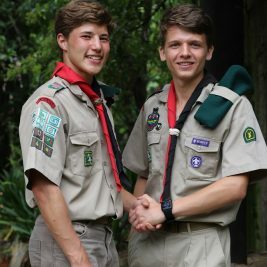 It’s book month and SCOUTS South Africa is proud to announce that the new Scout Handbook named “My Scout Journey” is AVAILABLE @ only R90 at the National Scout Shop or online. It will be coming to Regional shops within the next week. 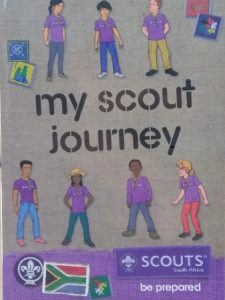 My Scout Journey is a 320 page, full colour publication. It takes you through the Scout Advancement programme. You will find valuable information to assist you and your Patrol in achieving the Adventure, Safety, Camping, Service, ScOUT skills and Personal Development requirements, while having fun! Expand your knowledge, gain experience in good citizenship, leadership and be of service to your community! Start your journey of growth and get your copy of “My Scout Journey” today! A special thanks to all who contributed to the development of My Scout Journey. For more information about the new Scout Programme, click here.